The two-member Committee of Administrators (CoA) is yet again divided. 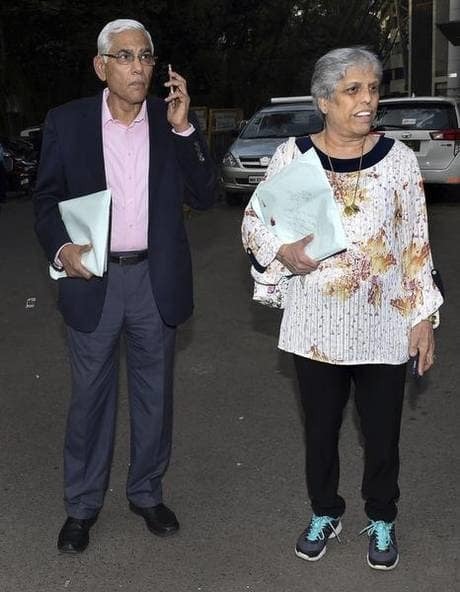 CoA chief Vinod Rai has proposed a quick enquiry into much-criticised comments made by suspended cricketers Hardik Pandya and KL Rahul but Diana Edulji fears it will be construed as a cover up job. Pandya and Rahul, who attracted widespread criticism for their misogynistic comments on TV Show Koffee with Karan, will be back in India by Saturday or early Sunday. In another round of unfriendly email exchange (in possession of PTI), CoA member Edulji has expressed her reservation at BCCI CEO Rahul Johri, who himself was embroiled in sexual harrasment case, conducting preliminary inquiry and fears a cover up. Mr. Rai on his part wants the inquiry to be finished by second ODI as delay in completing the procedure would affect the team strength. We should be in no hurry to conduct the inquiry as it would then look like a cover up job being done, Edulji wrote in her email response after Rai wanted inquiry to be completed quickly as team strength has gone down from 15 to 13. We must take a view by the time second ODI gets over as we cannot afford to debilitate team strength due to delinquent behaviour on the part of some player, Mr. Rai had written. While legal team had advised appointment of ad-hoc ombudsman for which Mr. Rai wants the view of amicus. However Edulji wants CoA and office bearers to be part of the inquiry as CEOs presence will be perceived as bad optics according to her.